"Learn to dance, or I'll steal your wife!" Okay, it just about had to be one of the busiest weeks I've ever known. 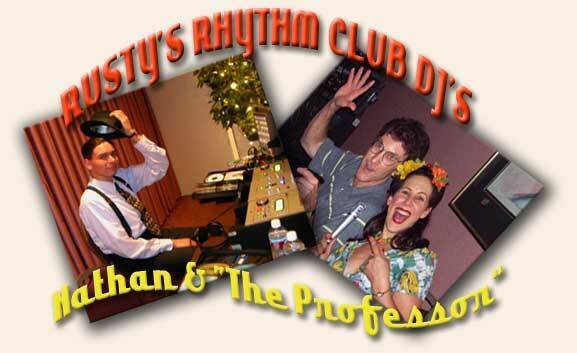 My birthday at the Rhythm Club, the Nathalie and Yuval Workshop, and the closing of "Swing!". 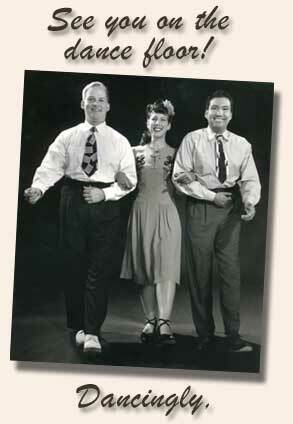 It was one of those weeks which makes you fully understand why you do this wonderful dance called "Lindy Hop." James Blackman and some of the 450 dancers closing nite of "Swing!" We've had the most marvelous three weeks over at the Redondo Beach Performing Arts Center thanks to James Blackman, it's executive director. 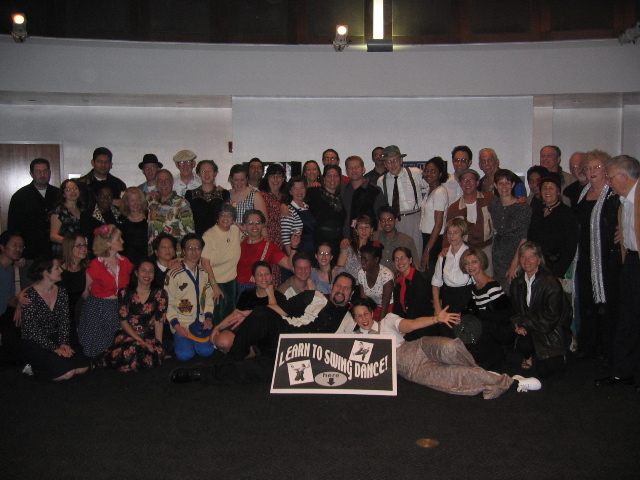 He invited us opening nite with 50 free tickets, a Lindy-By-The-Sea/Rhythm Club table in the lobby for the whole run of show, free tickets to anyone who staffed that table, and 450 FREE tickets for closing nite. We're still reeling from that generosity. 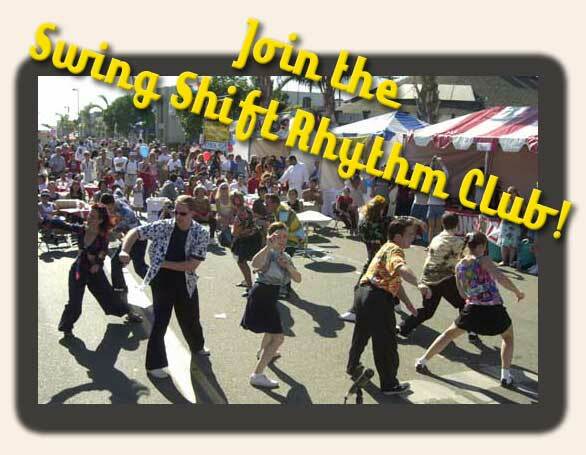 Thank you to everyone, all fifty of you, who helped staff our Lindy By The Sea/Rhythm Club table; I think we all had such a great time letting the public know we're here. 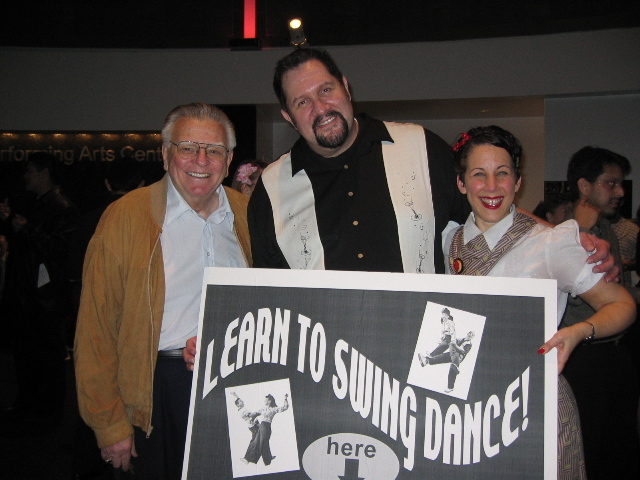 We'll really miss going to that show... so many of us saw "Swing!" more than once, and it just seemed to leave us in awe after every viewing. What a ride! 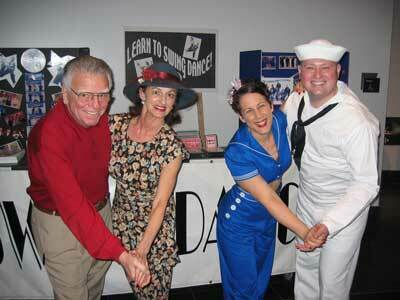 Closing nite: Thanks to Alex Vasallo for taking photographs and being our swing photo historian! Thank you to Michael D'Angelo for bringing your great sound system to "Swing!" 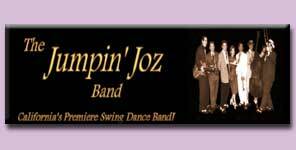 so that all 450 of us could dance in the lobby of the Redondo Beach Performing Arts Center Sunday nite before, at intermission, and after the show. And how about a huge thank you to the magnificent James Blackman for giving out those 450 free tickets. (By the way, he sends a thank you to all of us for creating such an amazing atmosphere in his lobby for closing nite of the show.) And... the good news is that James has invited us all back again to have our lobby table for his run of "Ain't Misbehavin'" in September -- whaaahoooo! Thanks to that amazing dance team for putting together ten terrific classes. We had people drive from as far as Orange County AND San Diego for this one! 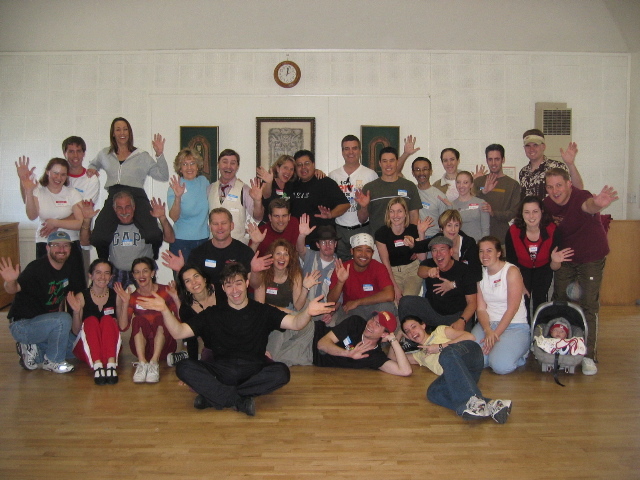 It was just a blast -- and we all have the sore muscles to prove it! First of all, I would like to thank each and every one of you personally who braved that Southern California storm to join me on my birthday. I truly understand how much easier it would have been to just stay home, nice and cozy. Please know that I appreciate every time you make it to the club... we all know what that "turn around" is like (going from a day at work to turning around and going out dancing on a weeknite). There were 100 of you there, despite the weather, and 20 of you were from USC, hurrah hurrah!!! 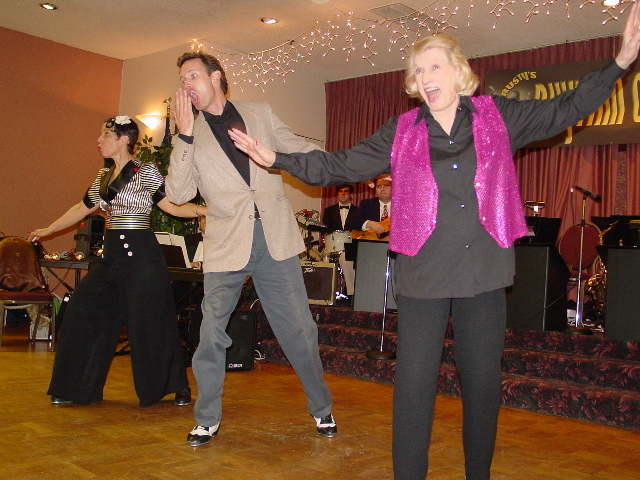 I would also like to thank those who helped on the entertainment side volunteering their talents: The fabulous Mr. Maxwell DeMille, our very own Ukuele King Mr. Will Ryan, my tap dancing friends Bobby Barron, Gregory Gast, and Miss Miriam Nelson (83 years old!!!!). 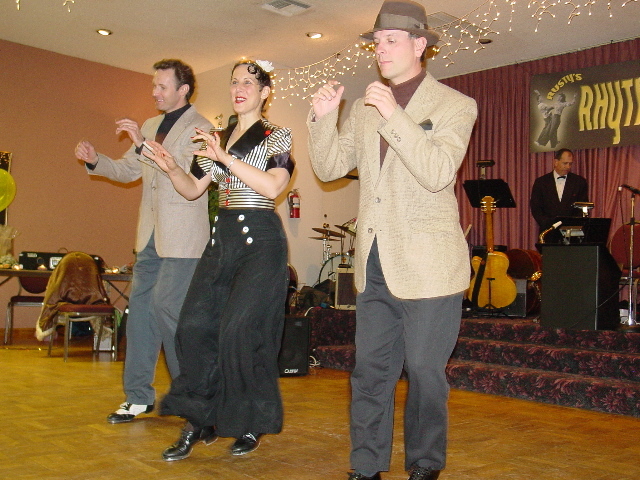 Thanks to pianist Chis Dawson and drum Josh Colazzo for accompanying our tap dancing. It was such a fun show for all concerned. 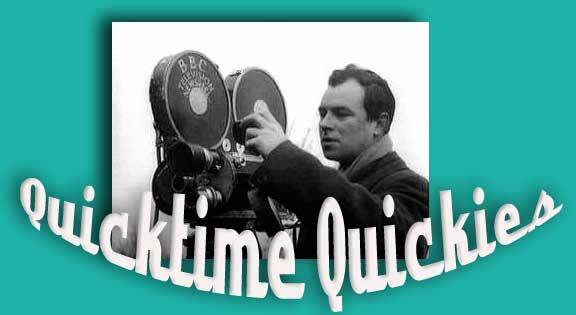 I've got clips of the evening posted under our Quicktime Quickies. Happy Viewing. 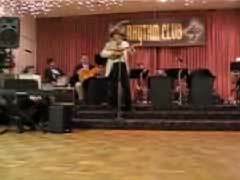 Gregory Gast, Rusty, and Bobby Barron performing the classic "B.S. 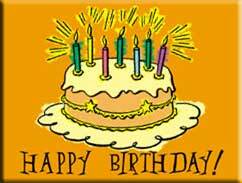 Chorus"
Thanks go to the "Birthday Cake" committee: Jessica Densmore, Glenn Parkison, and Peter and Gabrielle, and all the rest of you who chipped in. It was the most beautiful and delicious cake! Yum yum!!! Rusty's tiniest and youngest dance partner of the evening, Ryan Campbell! Thanks to my dear friend Alaina, and all the gang at Disney, who always remember me on my birthday. Thanks to everyone who, in addition to their wonderful presence, brought such fun presents and cards. 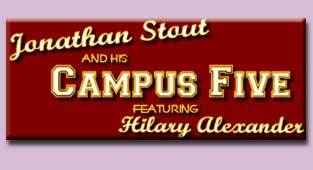 Thanks to Jonathan Stout, Hilary Alexander, and all the boys of the band (The Jonathan Stout Orchestra) for playing so magnificantly -- there's nothing like that big band sound at the Rhythm Club. Thanks to Harvey and Pam for staffing the door so I could be free to enjoy my birthday bash. And finally, thanks to Glenn Parkison, Michael D'Angelo, and Robert Vangor for giving me my special "Triple Dip" at the end of my birthday dance! You guys are the best! Look for more pictures up in the photo albums! Click HERE. FEATURED CLASS: SPINS, SLIDES, AND COOL MOVES! Spins, Slides, and Cool Moves. If you missed our first week, we invite you to join us this coming Tuesday, as we will be building on more moves each week! FORT MACARTHUR EVENT -- THANKS! 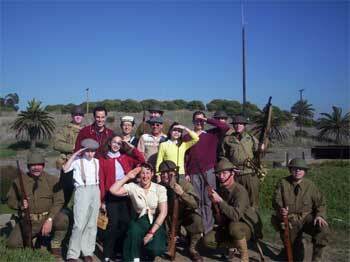 The Fort MacArthur event of Saturday, February 14,'04, featuring "...a look back at the February 1942 Los Angeles Air Raid" was the end result of over two months of planning by many people. On site filming by Huell Howser was one of the highlights of the day, focusing not only on the events of the Air Raid, but on citizens of that time who experienced this. 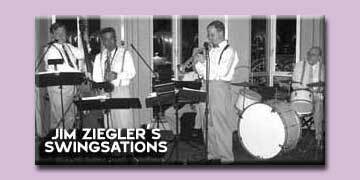 Wolf Fengler arranged to have the Fabulous Esquires appear for authentic atmosphere of the Big Band era as did many swing dancers. 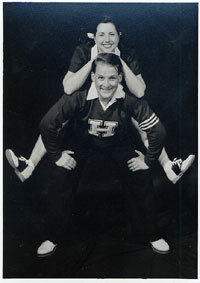 Laura Greenland coordinated a script around the music and featured such historical tidbits such as, "...Charlie Barnet (clarinet player for Glenn Miller's band) ... was married 11 times...maybe more, no one's quite sure..."; where did he find time to play music? 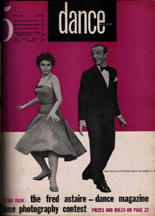 Our own Rusty Frank not only danced "socially" but also led groups in the Shim Sham and the Big Apple. Dancers included Cheryl Herbst, Michael D'Angelo, Gil Juarez, Dan Danner, Sarah Heitman, David Russell, Damien Kam (photos), Nikki Ackerman, Rita Catanzarite, Don Oyler, Cyndie Madden, Jan Haley, Gordon Ting, Ray Quijade, Teresa & Rob Wyman (band members) also brought their kids Katharine and Chris, Elise Anderson, Kirk Tuey (great "Press" outfit, took photos), Debbie Wastling, Elise Anderson and many more I didn't record (I danced a bit too). We thank John Kanaster for thinking of us and look forward to more Events with him and Fort MacArthur in the future (rumor says around July of this year). We will do a scripted program surrounding the music and dancing (the new combination CD player and karaoke machine works well and makes the narration a lot easier to coordinate with the music). 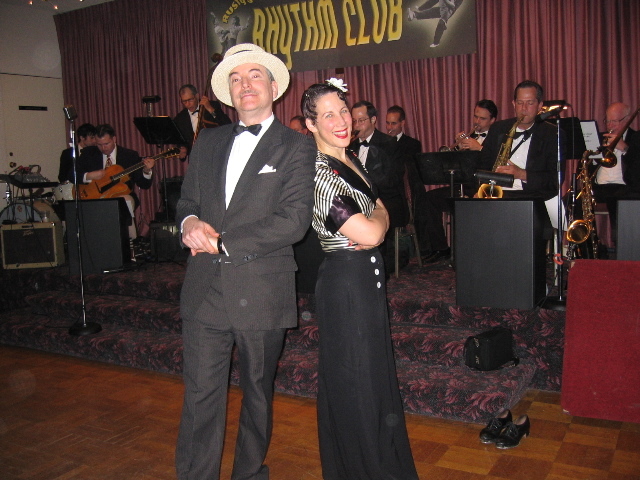 Make sure to mark your calendar for next Wednesday at the Rhythm Club, not just for our first "All-Star Converse Contest", but also for the birthdays of two of our favorite swing dancers, our very own Rhythm Pal Ron Campbell, and Mr. Pete Vincent. Pete will be turning 80(!!!) this year. So let's really help him celebrate in style! 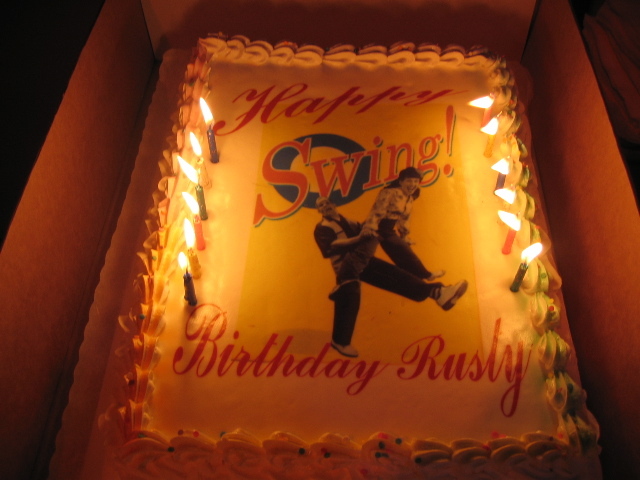 New scrapbooks up from Rusty's Birthday Bash, The Nathalie and Yuval Workshop, and "Swing!". Happy Viewing! 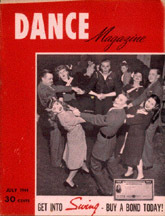 Dance Magazine Interview with Rusty: While browsing around the internet looking for an interesting link, I found this old interview that Dance Magazine did with me several years ago. 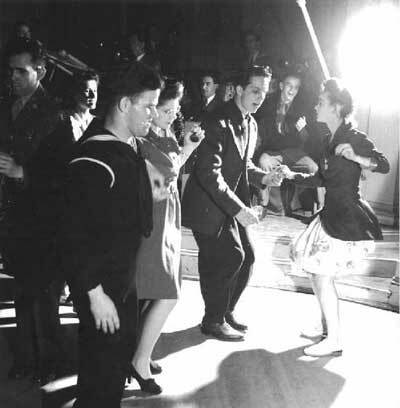 The gist of the article is why I would be lured into Lindy Hop from Tap Dancing. In reading the article, I think you'll really see a bit of yourself.